Grab has made a name for itself as the ride-hailing startup that grew into Southeast Asia’s leading online-to-offline platform for transport, food delivery, and mobile payment. Today, the company announced the launch of its innovation arm, Grab Ventures, aimed at discovering and supporting the next generation of leaders in tech. With the launch in conjunction with Grab’s 6th anniversary, co-founder and Group CEO, Anthony Tan said Grab is experiencing a period of solid growth that allows it to expand its impacts. The company boasts more than five times growth in micro-entrepreneurs enabled, from 1.33 million in 2017 to over 6.6 million to date. “We’ve attracted world-class engineering to Southeast Asia, and developed a tech platform with valuable assets like our huge base of drivers and delivery partners, as well as products which will help partners scale faster,” he said. 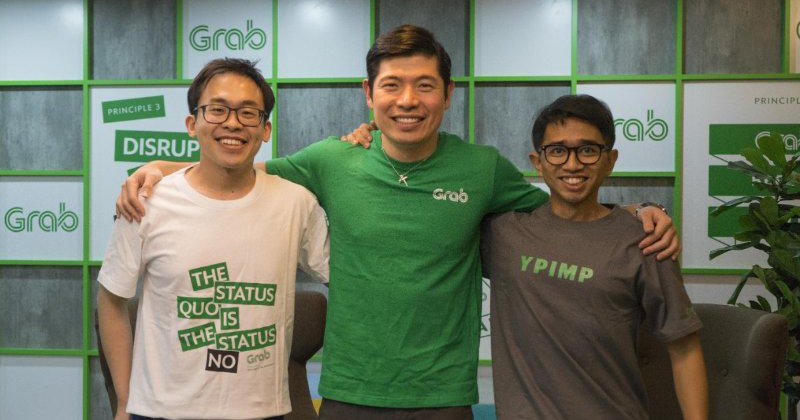 Grab Ventures will seek to partner 8 to 10 growth-stage startups over the next 24 months, with focus on transport, food, logistics and financial services. At the same time, the company will continue to develop in-house businesses as it has done with its personal mobility marketplace, GrabCycle. It will also launch Velocity, an accelerator programme allowing growth-stage startups to leverage Grab’s operational expertise, products, and networks. Partnership with the Info-Communications Media Development Authority (IMDA) and Enterprise SG sees government support in capability development, market access, regulatory support and grants. “Enterprise Singapore, as the government agency championing enterprise growth, sees great synergies in partnering with Grab to help high-potential startups develop capabilities, innovate and internationalise,” said Deputy CEO of Enterprise SG, Ted Tan. Grab Ventures currently counts GrabCycle, Indonesian e-commerce firm, Kudo, US self-driving startup, Drive.ai, and Indian mobile payments provider, iKaaz in its portfolio. For more information or to apply for the Velocity acceleration programme, click here.